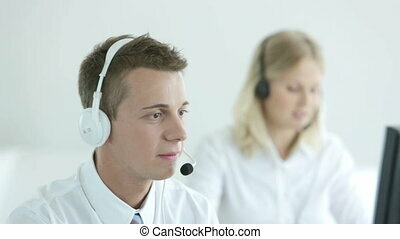 Telemarketing. 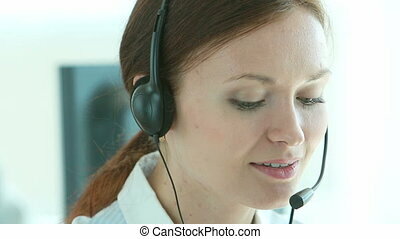 Young woman building her career in the sphere of telemarketing. 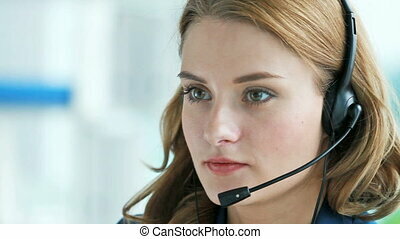 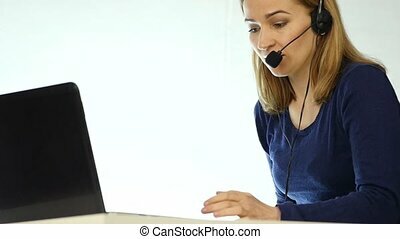 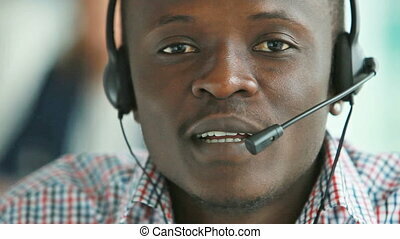 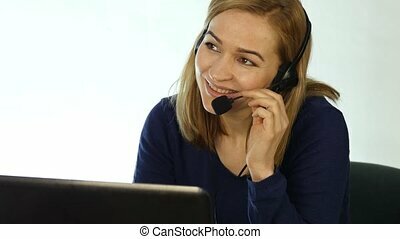 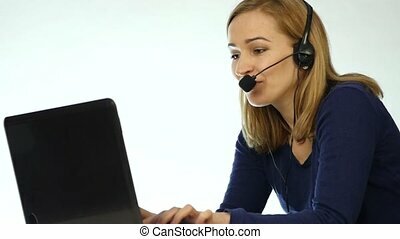 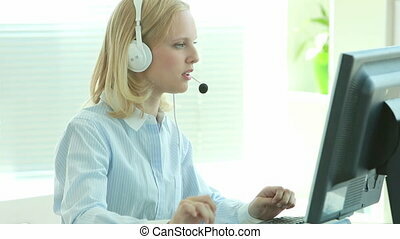 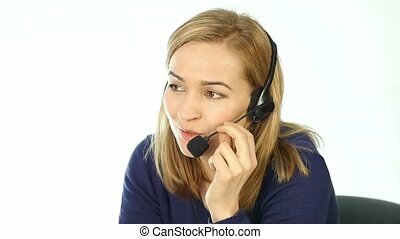 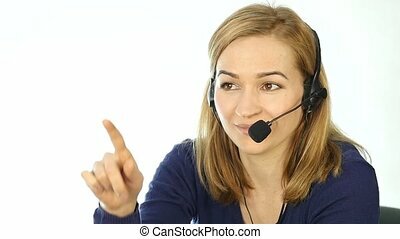 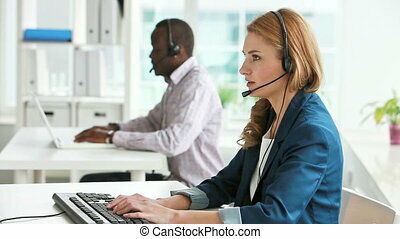 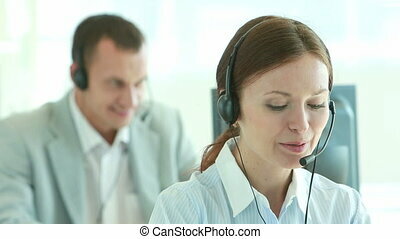 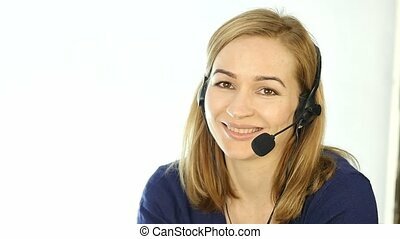 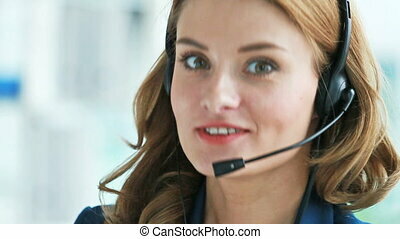 Friendly pleasant telemarketing operator consulting customer about online shop. 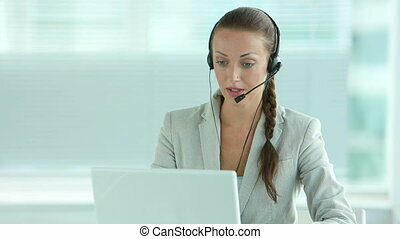 Successful personal support from high level specialist. 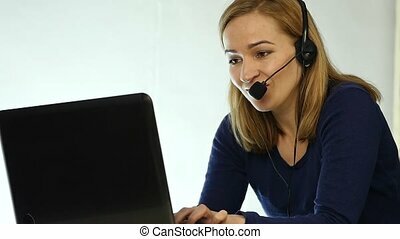 Assistant working on computer in call center to help people get information. 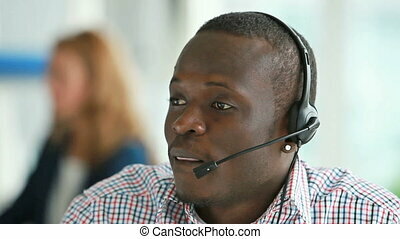 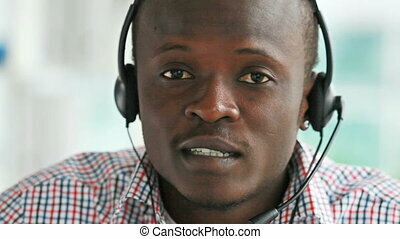 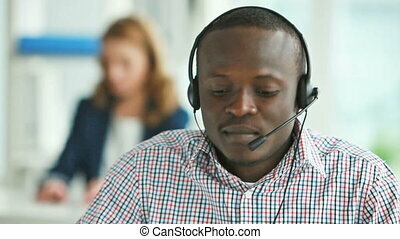 employee working in a call center. 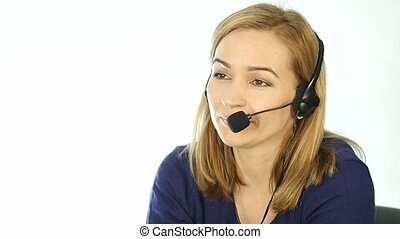 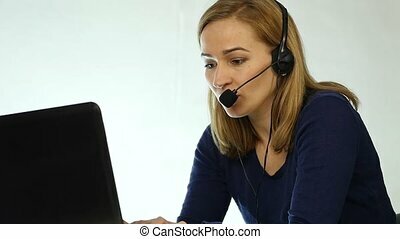 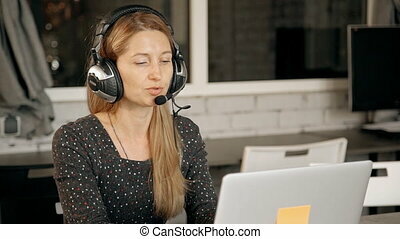 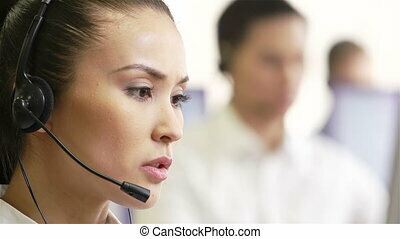 Headset telemarketing woman talking on helpline.